Then, like a beautifully orchestrated plan, Tracey found the right Medium at the right time and felt the healing power of mediumship. That one meeting set forth a series of events and experiences that led her on her personal journey to give a voice to the voiceless and to guide and help people. She discovered that she had abilities of her own and that not everyone “knew” things like she did. She finally had answers, she was an empath, an intuitive, clairsentient, and clairvoyant. 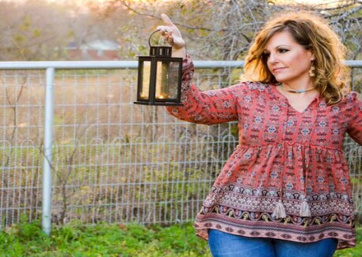 Her journey has led her to the prestigious Arthur Findlay College of Mediumship in England, a mentorship with Medium Colby Rebel of California, and Level 3 Psychic Certification for Lisa Williams International School of Spiritual Development. She is a graduate of Chuck Murphy’s Zero to Psychic Course and a regular of Jayme O’Donnell’s Psychic and Mediumship Development Classes. 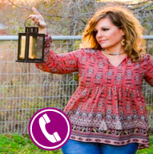 Tracey can share messages with you from a loved one that has crossed over, and she has the ability to give compassionate, honest, intuitive messages to aid her clients in the areas of relationships, career, legal issues, health, and finances. You may not always hear what you WANT to hear, but you will always hear what you NEED to hear.